When climate change knocks on your door, what will you say? 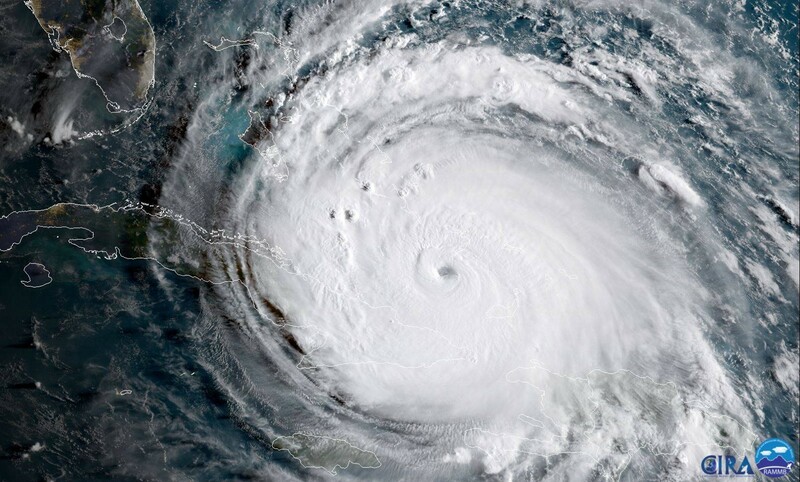 In September, Category 5 Hurricane Irma bore down on the Leeward Islands of the Caribbean, raking across Barbuda before moving on to Anguilla, St. Maarten, the US Virgin Islands, the British Virgin Islands, and then setting a course for Cuba. After departing Cuba as a Category 4 hurricane, Irma then continued a wide swath of damage across the Florida Keys, the Gulf Coast, eventually making a mark on essentially the entire state of Florida. Storm surge flooding was experienced in the Keys, Miami, Naples, and all the way north to Jacksonville. This hurricane followed quickly on the heels of another historic event in the U.S., Hurricane Harvey, which brought unprecedented rain and flooding to Houston and eastern Texas, and preceded Hurricane Maria, one of the most destructive hurricanes in Caribbean history. 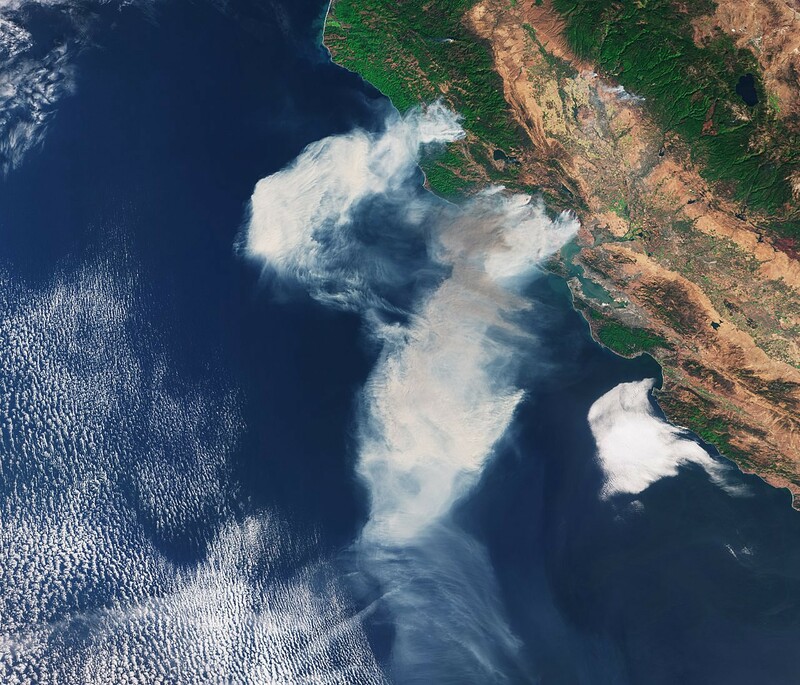 In the weeks between these events, we experienced a heatwave in Northern California, where temperatures topped 100 degrees multiple days in a row, and skies were so smoky from distant wildfires as to be dangerous. I sat slightly transfixed in the California heat, watching images of Harvey, Irma, then Maria take over my TV screen and social media streams. Much has been written about how these events are connected to climate change: quite simply, our chances of experiencing extreme conditions (heat, rainfall, intense hurricanes, drought) have gone up, because these hazards intensify in a warmer world. When I was beginning my scientific career nearly two decades ago, it was popular amongst senior scientists to refer to climate change as “the great human experiment.” An experiment that may have seemed largely theoretical at the time, but one we would all bear witness to in the future. Left unspoken was the burden that we scientists would carry in the knowing and bearing witness: how does one document the process without absorbing the impact? I am a climate scientist, with one foot in the modern ocean trying to understand impacts on California species and ecosystems, and one foot in the past, probing the paleoclimate world for lessons we can learn. Much has changed over the 15+ years I have called myself a climate scientist, and yet more has stood still. While we continue to amass evidence for the role of human impact on the climate, and for the grave consequences of climate change, policy action in the U.S. has not responded to that evidence. Scientists continue to struggle with our role as producers of objective knowledge or advocates for evidence-based solutions for climate change, while the systems that we have studied for decades have degraded before our eyes. We are simultaneously bombarded with information about how rapidly our Earth is changing and with political arguments for inaction that attack the evidence, the scientists, and the scientific process. People often ask me if I spend time feeling sad about our trajectory or whether I manage to stay optimistic. Generally my answer is: I spend about ⅔ of my time trying to understand climate change and the impact on the ocean, and about ⅓ of my time trying to communicate those findings to students, policymakers, and the public. There isn’t much time for grief. But in the midst of the 2017 hurricane season, for the first time in a very long time, I allowed myself to really feel gutted by the destruction of places I had formerly lived, loved and visited. Recently I commented to a friend that this year’s hurricane season made my heart ache, even more than any other. I couldn’t quite put my finger on why, until I started thinking about my path to becoming a scientist. Although I often tell people I was “born a scientist” by being raised on the water in the Pacific Northwest, my scientific curiosity really blossomed on the Gulf Coast of Florida, at Eckerd College. I moved there, drawn by the sunny days, water that was a welcoming temperature, and the promise of spending my college years learning about marine science. I was so motivated towards this goal that the summer after my freshman year I volunteered to help a graduate student from another university with her research on dolphins in Jacksonville. That summer I packed everything I owned into a car — a sleeping bag, some boxes of household stuff, a few boxes of clothes, and drove to Jacksonville to spend a month sleeping on the floor of another student’s apartment. All of this effort was so that I could get up and work on a boat all day identifying and observing dolphins. The work, despite sounding glamorously Cousteau-esque, was filled with long hot days tossed around on a small boat with no shade, fortunately surrounded by dolphins and other dolphin loving students. Days that were not on the boat were spent peering over a light table to examine photographs of dolphins and trying to match them to a photo book that had hundreds of dolphin photos. It was all dolphins, all the time, and it was my first real exposure to the level of dedication and love that scientists bring to their work. I returned to college the next fall completely hooked on research, although surprisingly, not hooked on dolphins. I began to work on a research project with a professor trying to understand the environment of the Gulf Coast. This work often included days spent on a boat (again! ), but also an equal amount of time in the lab washing glassware, sorting samples, labeling vials, and peering into a microscope at tiny fossils. My mentor was creative, funny, inspiring, and he pushed me hard to think about interesting questions in science. I began to develop my own small component of that project that he would encourage me to lead, looking at evidence that the islands that rimmed the Florida shoreline had moved as sea level rose over the past several thousand years. In sediment cores — long tubes of sand that we collected from the ocean floor — we would look for evidence of environmental change through time, using both the sand and tiny fossils to describe the ocean’s history. It was through this project that I discovered that mud deposited in the ocean could tell a story of the past. As sea level changed, the barrier islands moved too, staying parallel to and near the moving shoreline. These islands — the ones we build homes and roads on because we think of them as static features of the Gulf Coast shoreline — were actually moving objects, subject to the whims of changing seas. During my senior year in college, I began to ask my professors: could the record of past climate change tell us something about what will happen next? That is what drew me to graduate school: wondering what the past would tell us about our future. At UC Santa Barbara for my Ph.D., I studied paleoclimate, essentially how we can reconstruct climate change in the past. I was quite literally immersed in a community of scientists thinking, living, and breathing the past record of climate change. All the while, the picture of modern climate change was becoming clearer around us. The evidence was building, and while by day we were reading about climate change that had happened thousands or even millions of years ago, by night we would stay up reading the newest report of the UN Intergovernmental Panel on Climate Change. The weight of what we were studying was beginning to become clear, and I began to get the first taste of the science communication challenge that came with being a climate scientist. Publicly acknowledging that I studied past climate change was likely to inspire uncomfortable conversations with strangers and family members alike. Even worse was the worry that came with deep insights into the past: how the Earth’s climate system had shifted before due to changes in greenhouse gases, including rapid shifts in sea level, ocean temperature, and weather patterns. I remember one conversation in particular, in the main office of my department amongst a group of graduate students. One student insisted that the only way we could do something positive with our growing understanding of the Earth’s climate system was to leave science and work in environmental advocacy. I made an impassioned plea for why we desperately needed scientists to discover the mechanisms and impacts of climate change. He disagreed and insisted that we couldn’t cloister ourselves inside of universities only to gain more knowledge, and little action, on climate change. Our fellow students watched our debate like it was a ping pong match, but there was no easy resolution: do we discover new knowledge, or try to motivate societal change? If you knew something — something that would impact millions of people worldwide and environments that we cared about — and you tried to tell everyone you knew but they mostly didn’t listen, what would you do? As I finished up graduate school in Santa Barbara, my husband and I were offered jobs in Northern California. As we prepared to buy a house, pack up our two bedroom apartment and move to a place that I had only visited once, we decided to take a last vacation before starting our jobs. We chose the islands of Anguilla and St. Maarten as our destination, looking forward to some needed relaxation before the next chapter of our lives began. We were there in the off season — who travels to the Leeward Islands in peak hurricane season? — which meant that day after day we had entire beaches to ourselves. Just us, the turquoise water, and the man frying johnny cakes in a stand on the side of the road. We practically lived in the Caribbean Sea that week — swimming and snorkeling day and night, only to hop in a car and drive to a new ocean-facing location. One day, a taxi driver in Anguilla recommended that we check out a spot called “Junk’s Hole Beach”. We laughed at the idea that a beach would be called a “Junk Hole”, and hopped in. The taxi dropped us off at the end of a gravel road, and when we arrived, the beach was empty, stunning, and the water beckoned. We began to walk the beach and came to a harsh realization about the name of the beach. Unlike the pristine beaches that we had been visiting over much of the island, due to prevailing winds and currents, this beach was completely covered with trash that had washed up from waste dumping offshore. Plastic pens, toothbrushes, water bottles, dead fish, fishing line, all tangled in a mess of seaweed and coral rubble. Here, alone on a beach on a windy day, on a beautiful, quiet island filled with warm and hospitable people, the fingerprint of human impacts on the ocean pressed upon us. What I came to realize is that Hurricane Irma in particular stitched together a pattern of places that had influenced my view of the ocean, science, and human interaction with the environment. Leeward Islands. Florida’s Gulf Coast. Jacksonville. Warm waters, white sand beaches, and the birthplace of my oceanographic career. Simultaneously, I noticed that this year brought a new new kind of discussion among scientists: How, as a scientist, do you spend decades working to understand coral reefs, Arctic ice, or kelp forests, only to end up being the person that records and reports the downfall of these systems? Scientists are trained through years of schooling to design methodologies that maintain their distance from their subjects and the outcomes of their experiments. For many years, that buffer of distance has kept us from absorbing the emotional toll of what we were observing, but the burden of being witness to this catastrophe was bound to catch up with us. I recently asked a colleague who is studying coral reef conservation how the past few years have felt. She described sitting back at a recent workshop and realizing that scientists were discussing a world that had moved beyond corals; a “post coral” ecosystem. Upon hearing this, I asked her: Does anyone ask you — what does it feel like to record the demise of your study system? She answered that most people don’t ask. Perhaps it is just too hard for scientists, journalists, policymakers and educators to go down this path. While watching images from Houston, Florida and the Caribbean, what I saw was this: the great human experiment is the complete destruction of livelihoods and places we love. It is the death of people, businesses, and communities. It is not equally distributed, as it does its worst to the most impoverished communities. It is stranded pets and polluted waterways. It is multiple major disasters for our Federal Emergency Management Agency, our Coast Guard, our firefighters, our first responders. It is kids missing school due to natural disasters and endless fundraisers to try to rebuild our communities. It is years of coral reef restoration blown away by the most powerful storm on record. It is the beginning of a mass migration, where those with resources will choose places to live based upon perception of risk due to flood, fire, storm surge and more. For me, 2017 was the year that I came to terms with how personal climate change might be, and that we needed to start putting words to that experience. Ironically, that was all before fire season rolled through California. Early on the morning of Monday, October 9, 2017 we awoke to multiple friends contacting us asking if we were evacuating. We launched ourselves out of bed, turned on the TV and pulled up social media feeds, and began a frantic hour of messaging friends and family trying to understand the wildfire chaos around us. An ominous red glow appeared through the darkness on the skyline to the east of us. For a short time, we thought we might need to leave, and so began to prepare to do so, but over the course of the morning, as news streamed in, we began to feel moderately safe in our home. Many in our community were not so lucky. Overnight, the Tubbs Fire had moved rapidly over the hills to the east of Santa Rosa and right into suburban neighborhoods, burning thousands of homes. At the same time, a complex of fires to the east of Rohnert Park was threatening nearby neighborhoods. All major roads to the east of us were blocked, and our friends and colleagues living nearer to the rapidly moving fires were evacuating to the west or south. We made arrangements to do the same. Stepping outside, the air was not just choked with smoke, but large pieces of ash were falling from the sky. By daylight we noticed that some of the ash was as big as our hands, and had legible writing on it; other large pieces of ash falling into our yard were burned fabric. The remnants of our community were falling from the sky. Over the course of the next week, we took donations to shelters and organized fundraising efforts for school friends who had lost their homes to the fire. Our entire community moved into a state of shock and emergency. Down the street from our research facility, which is located in a small generous-hearted fishing town, 500 fire evacuees streamed in and found shelter in community buildings and campgrounds, and our students and staff began volunteering for shifts at the shelter. Our schedules were set by finding out when the next fire briefing would be broadcast, and our phones regularly buzzed with automated alerts of new evacuations. The local radio station became a node of community information, as many people were without power, internet, and cell phone coverage due to the fire. A natural disaster had stepped our community back in time, to a scene where people gathered around their radios to hear updates from the local Sheriff. When our kids were finally able to go back to school, they were required to wear face masks because the air quality was so hazardous. Here is a challenge for you: drop your kids off at elementary school, and confront the image of falling ash and a sea of children in face masks while holding your emotions together. The feeling of safety had become relative, and a way we connected with friends in our community on a daily basis: Are you evacuated? Have you packed? Do you have a place to go? Can you bring your pets? The stage that set this fire was a combination of extreme wind, human infrastructure, and changing climate. Some of the homes that burned were part of what is referred to as the ‘wildland urban interface’, where city housing stretches into forests and foothills, increasing the interaction between humans, homes, and fire. The fire reoccupied a region that had burned in a similarly dramatic blaze in 1964; however, as if to underscore the point, this fire moved out of the shadow of that old burn and into new neighborhoods with no history of fire. Some of the greatest losses in terms of houses and lives were in these neighborhoods outside of this historical pattern of fire. The national news media focused on impacts to “wine country”, conveying a message that these wildfires had impacted our wine and tourism-driven economy, which is true, but only part of the story. Our local media, on the other hand, painted with a different, more human brush: this was a fire that ripped through suburban subdivisions and trailer parks, only mere miles from a city center. Over the course of the first week of the disaster, 50,000 people were displaced from their homes in Sonoma County alone, and 5% of the housing stock in Santa Rosa burned. When combined with simultaneous fires in nearby Mendocino, Napa, and Solano counties, the effects were profound and pervasive. The fires that impacted my local community were the most destructive wildfires in California history in terms of lives and structures lost. The fires started after a season of extremes: a five year drought followed by one of the rainiest years on record, capped by a summer with no rain. The vegetation had grown thick and lush in early spring, and then parched under record breaking heat during the summer. This is the California of the future: extended periods of drought punctuated by extreme flooding events. The “fire season” has extended to be a year round event, as evidenced by fires currently raging, in December, in southern California. Climate change, the great human experiment, had arrived right at my doorstep. Risks of wildfire, flooding, sea level rise, and increased storm intensity grow as we refuse to act. The morning I first drafted this essay, we sat our children down and explained that some of their friends at school had lost everything to the fire. We talked about how we can support them, and how their friends might be feeling. Are you prepared to plan your evacuation route, choose what items to save from your house, and tell your children what it may take to keep your family safe? Here is the kicker: climate change became “personal” to many other people long ago. Consider communities living in the Marshall Islands, who are physically losing their freshwater sources and the land they live on due rising sea level. Or communities in the Alaskan Arctic, who have begun to move inland due to rising sea level and melting permafrost. For the scientific community, the time has come for us to rise to our roles as truth tellers — both about the scientific observations that we have made, but also the story of how climate change is impacting our communities, our families, and ourselves. How long will it be before climate change knocks at your door?